The Zimbabwe Achievers Awards raised the bar last night, putting on a spectacular event for the eighth edition at the Grange City Hotel in London. Running under the theme Plough Back, the awards celebrated several academics and businessmen, including prominent African jeweller, Patrick Mavros and Legal Practitioner, Taffi Nyawanza. Actor and singer, John Pfumojena was honoured with the Made in Zwe award for being a true cultural ambassador. Guest of honour and the event's keynote speaker, Tsitsi Masiyiwa delivered a compelling speech, encouraging and challenging Zimbabweans in the diaspora to invest in their country. "I believe foreign direct investment is critical and important. I have faith that within the diaspora community, there are amazing individuals with unique skills that can rebuild our nation," she added. Masiyiwa said that despite the collective efforts of all Zimbabweans and the amazing success stories, the investment needed in Zimbabwe is even greater. "We need to persist in developing innovations for challenges that affect our families and communities in Zimbabwe, in order to restore dignity to our people." Other speakers on the night included CEO of Steward Bank, Lance Mambondiani, Brand South Africa's Pumela Salela and Mtimandze Group Chairman and CEO Muzi Kunene, who all echoed the need to work together to Plough Back into Zimbabwe and the African continent, and bring about a nation and continent that is viable, sustainable and competitive in the world market. Meanwhile, the 2018 contenders battled it out, with key players in various sectors that include business, music and sport coming out on top. With over 85 nominees, across 17 categories, there was some very strong competition,with the Breakthrough award going to BBC Master Chef Quarter finalist, Nomalanga Nyamayaro of Noma Creates and the sportsperson being awarded to Rugby star and Exeter Chief's Flanker, Don Armand. The community champion award also had top contenders, and was awarded jointly to Dumi Ncube and Qoki founder, Sithule Tshuma. Headline band, Friends in Christ wooed the crowd and kept them on their feet during and after the ceremony, with songs from their first album. Gemma Griffiths serenaded the audience with several ballads,while Shanky also treated guests to tracks from her new album. The event this year was proudly sponsored by Fintech Company, WorldRemit and Funeral Service Provider, Diaspora Funeral Cash Plan. 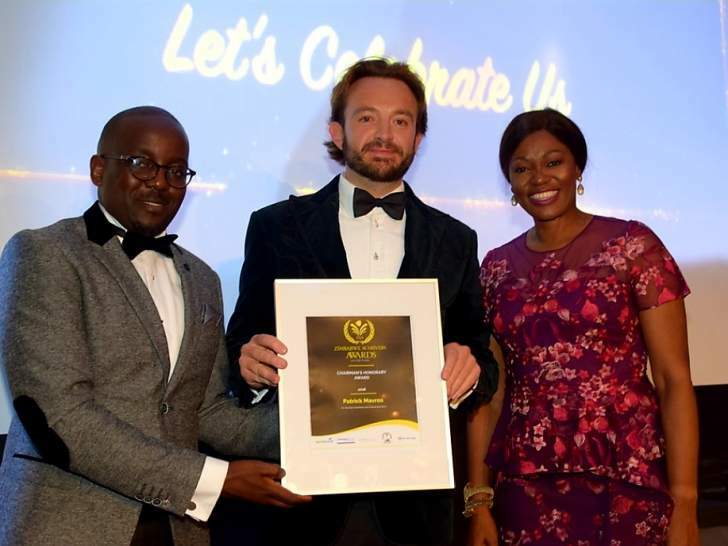 WorldRemit Executive,Richard Igoe thanked the Zimbabwe Achievers Awards for a community initiative that brought people together around the world and that created the type of synergy and spirit that the remittance organisation embodies. Other sponsors for the UK edition included, Propertyend, Ndasenda, eZimtech, Women in Healthcare, Vaka Buildings, Mtimandze Group,Starcover, Vavaki Architects, Richvisions, KTrio and Nurseline. ZAA International Director, Louis Charema extended his thanks to all the sponsors for their continued support and congratulated all the nominees and winners. "There is a lot of work that goes on in the background to produce a night like this. Our panel and committee volunteer their time and work tirelessly to produce a list of remarkable winners and work equally hard to make sure that guests are entertained on the night," Charema said. "By its very definition, a community often has a cultural and historical heritage. Both the acts of appreciation and acknowledgement have always been a huge part of our culture - our Zimbabwean culture, and I implore our community to continue to embrace these, through their love,passion and support for this initiative," he added. Meanwhile, nominations for the US and Australian editions will open on Monday 21st May. The awards ceremony for the US is scheduled for 29 September in Dallas,Texas. Australia's edition will follow five weeks later on 3rd November. Now a permanent fixture on the Zimbabwean community calendar, the awards are now in four countries, with plans for Canada and Zimbabwe to be added to the growing portfolio soon.